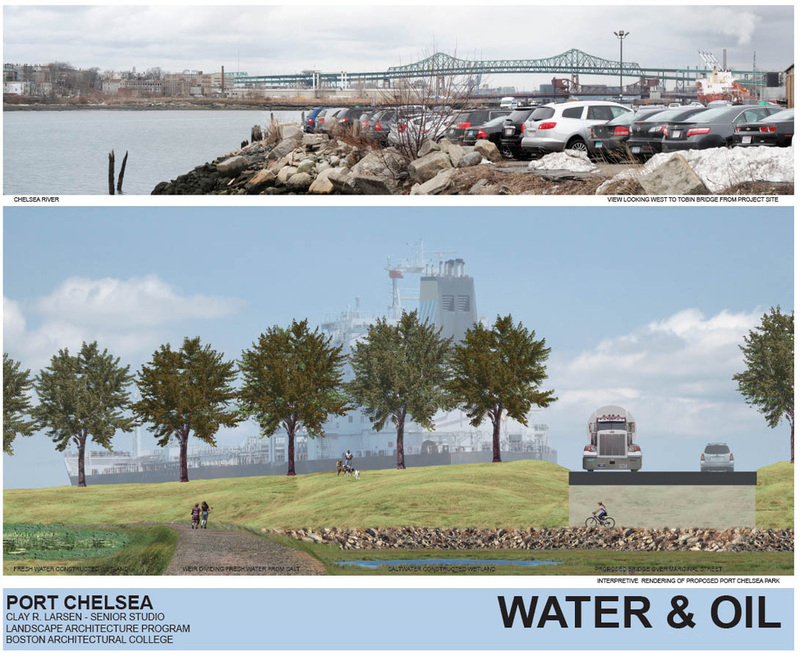 Chelsea is Bostons working port, 600' oil tankers move through the waters of Chelsea Creek daily bringing heating oil and aircraft fuel to the region. 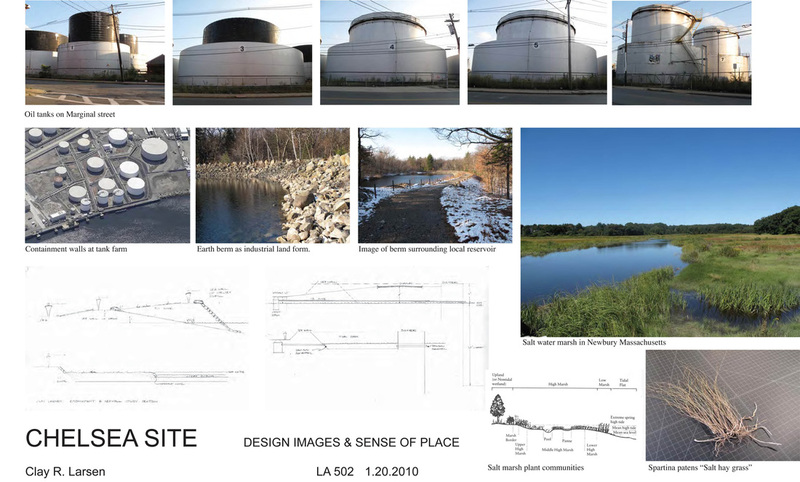 Chelsea Creek is one of Boston most polluted water bodies. 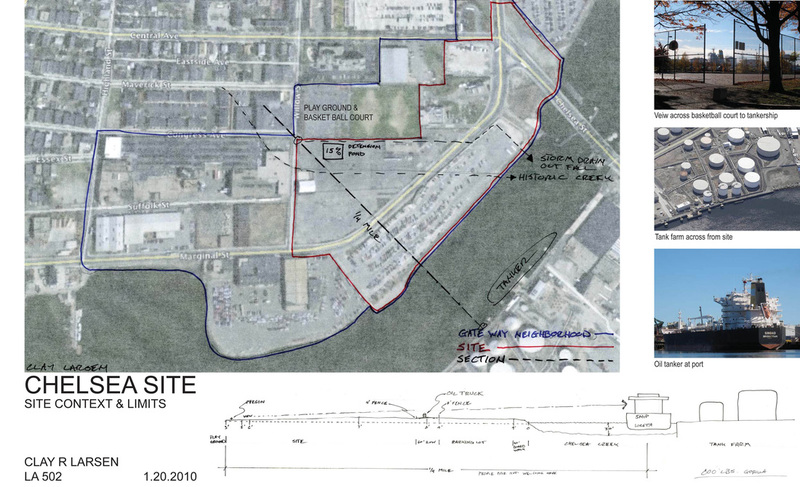 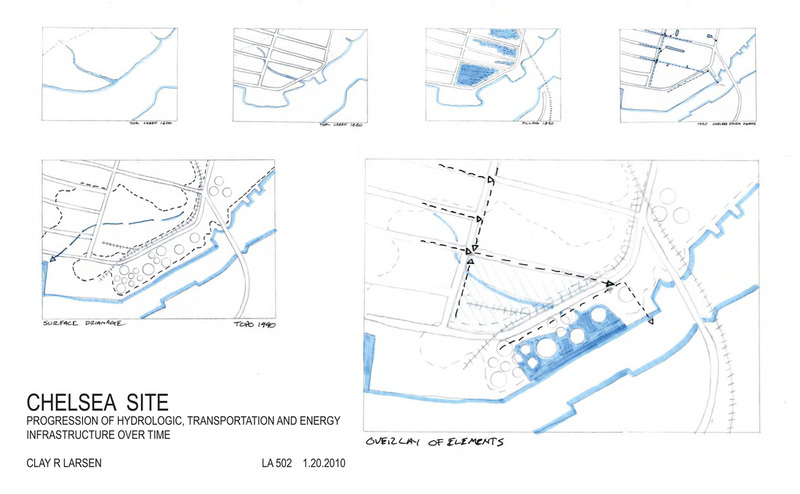 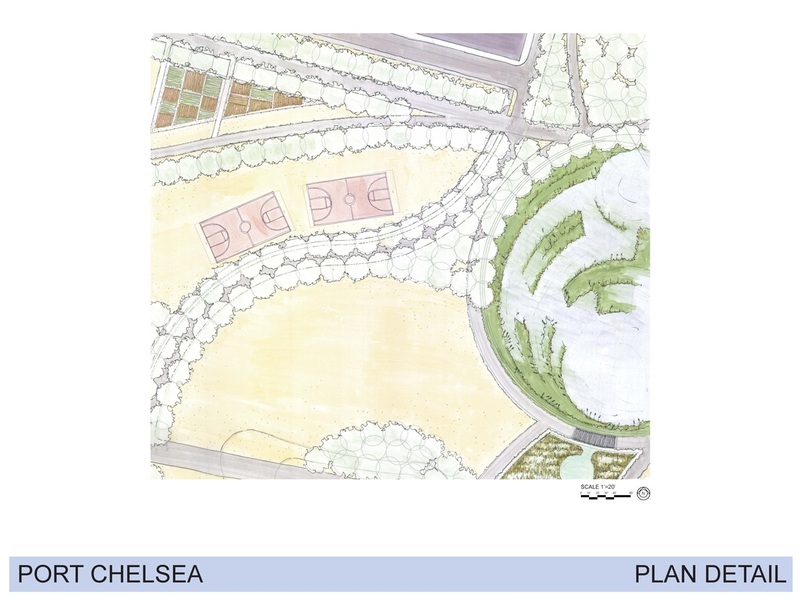 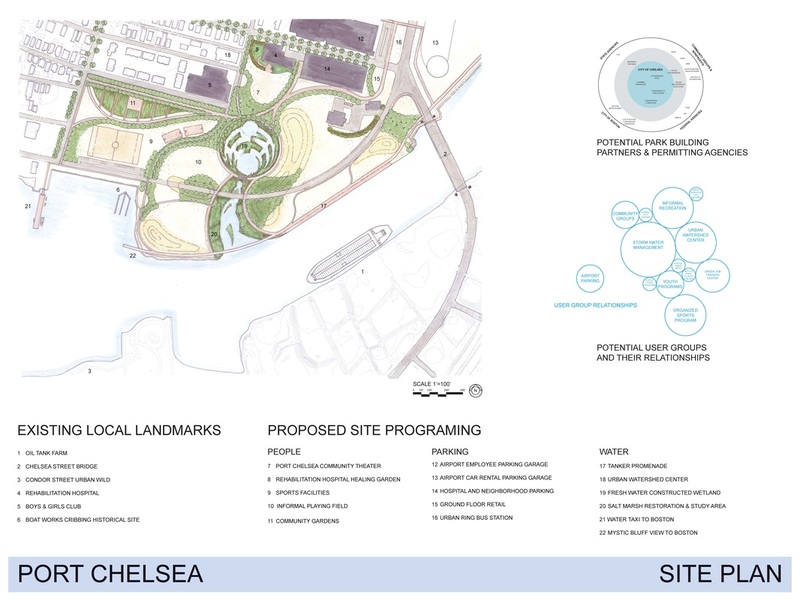 Land use is currently mostly parking for Logan Airport, but the community of Chelsea is working to rediscover and reconnect to its water front. 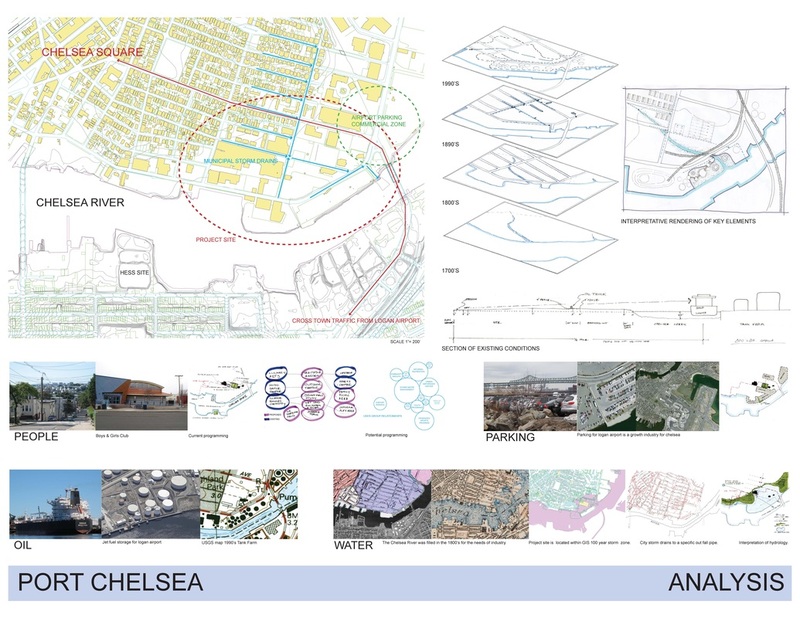 Port Chelsea Water & Oil is a study of the historic hydrology of the area and of the movement of the oil tankers that ply Chelsea's waters. 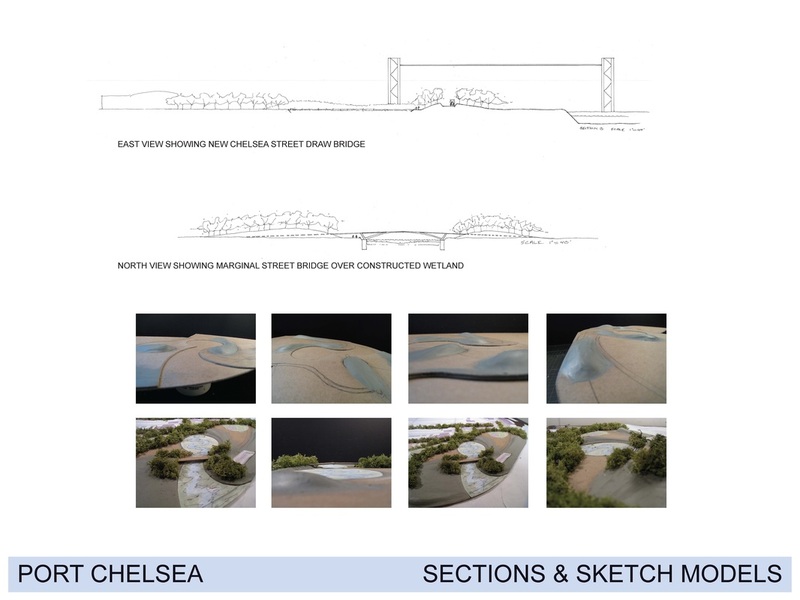 The project works to celebrate the movement and grace of these giant ocean going vessels, while at the same time working to restore historic wet lands, clean the water and reconnect the community to its water front.